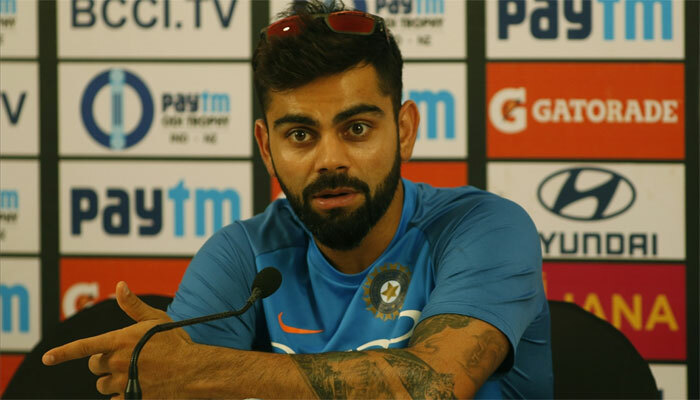 Captain Virat Kohli heaped praise on wicket-keeper-batsman MS Dhoni after the two men starred in a six-wicket win for India in the second ODI of the series at the Adelaide Oval. MS Dhoni who was playing his 334th ODI was a little slow to get off the blocks but soon enough showed his intent and was geared up to take the attack to the opposition early on in his innings. He came with an equation and took it to the last over and made sure India won the game. Dhoni was in his element in Adelaide and Captain Virat Kohli was highly appreciative of it. “Tonight was an MS Classic. Only he knows what is going through his mind and he calculates the game so well. He backs himself to hit those big hits. Hats off to him and Dinesh as well. India had gone down 0-1 down in the three-match series and the failure surely put a harsh spotlight on Dhoni’s role in the ODIs. The hosts had set the Indian team 299 to win and Kohli laid the foundation of India’s response but holed out to Glenn Maxwell off Jhye Richardson to leave his side needing 57 runs off the final 38 balls. MS Dhoni(55) and Dinesh Karthik(25) both unbeaten had sent hosts home. The deciding match of the series will take place in Melbourne on Friday.